The eighth edition of the Manila Super Series concluded with another player added to the list of PokerStars Players Championship (PSPC) Platinum Pass winners. The latest to seize the coveted pass was Japan’s Yuka Asaka who rose above a field of 1023 entries at the Main Event. 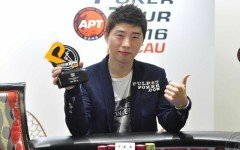 In addition, Asaka pocketed P1,605,000 (~US$30,000), making this her largest live tournament win to-date. The Manila Super Series has steadily attracted players from all over Asia especially with the exceptionally low P10,000 (~US$187) buy-in Main Event offering an added value PSPC Platinum Pass worth US$30,000. In the early editions of the series, Filipino players dominated the charts however in the latest edition, only three players were locals and the rest from varying nations. Another female running well was 2018 Taiwan Millions champion Tsui Han Hsiao. Hsiao finished 7th at the Main Event. Prior to that, she won the NLH Deep Stack Turbo (event 3). Hsiao has been frequenting the Philippine circuit since last year and has consistently experienced quite bit of success. Filipino Terry Gonzaga was the only player at the series to boast of two titles. Gonzaga first bested a field of 121 at the P8,000 NLH event to pocket P189,400 (US$3,500) then went on to win the P5,000 NLH Turbo, this time defeating the 144 entries for P147,500 (US$2,760). Another well-known local player earning a title was Michael De Leon. He topped the 159 entry field of the P5,000 NLH Knockout Turbo event to win P120,300 (US$2,250). This win comes just days after his runner-up finish at the Metro Walk to a Million 1M event. The highest buyin tournament was the P15,000 NLH Shot Clock event. 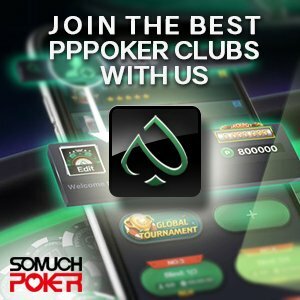 With a total of 133 entries, the prize pool came to P1,741635 (US$32,610). Among the notable players in the money were Australia’s Anthony Abram (16th) and Filipino Richard Marquez (12th) however taking it down was Hong Kong’s Luen Kwok who captured his first-ever live tournament victory along with the P330,000 (US$6,180) first prize.